We spent a few days on Rikers Island with Warden Duffy prior to his retirement after 29 years of service. All the events took place on his block, serving a spiritual growth program he designed with Prison Fellowship over the past 5 years. He has been a great supporter and encouragement to us since first being introduced. We will greatly miss his presence, and will continue to serve on Rikers Island. We were honored to host a cookout for The Men Of Valor Program in Nashville, Tennessee. It was a Beautiful evening of re-connecting on the outside, as well as sharing stories of growth and music. 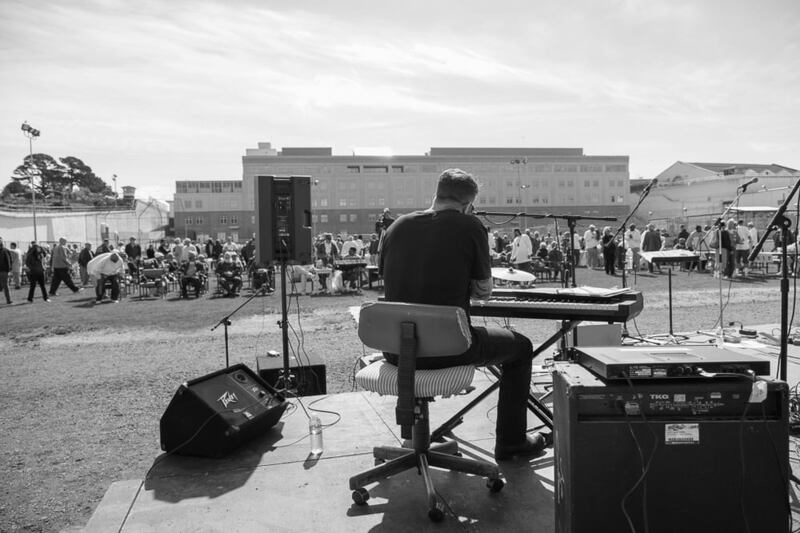 We were invited to San Quentin for the "Day Of Peace" event. This event was hosted by an amazing organization called "Bread & Roses". We were truly taken back by the incredible work they do in San Quentin. We look forward to serving with them again this summer. We were invited back to Swannanoa Correctional Center for Women in North Carolina for Mothers Day. We were invited in by St. James Episcopal Church who hosts a monthly healing service. Often times, this is a very emotional event. This year was a little different. There was a Beautiful spirit of peace & encouragement this year. We were honored to spend a day with these Beautiful women as they processed forgiveness as Mothers & Daughters. Thank You for your continued support of SEND MUSICIANS TO PRISON.